Jersey viscose digital "Bohemian Garland" print per meter. 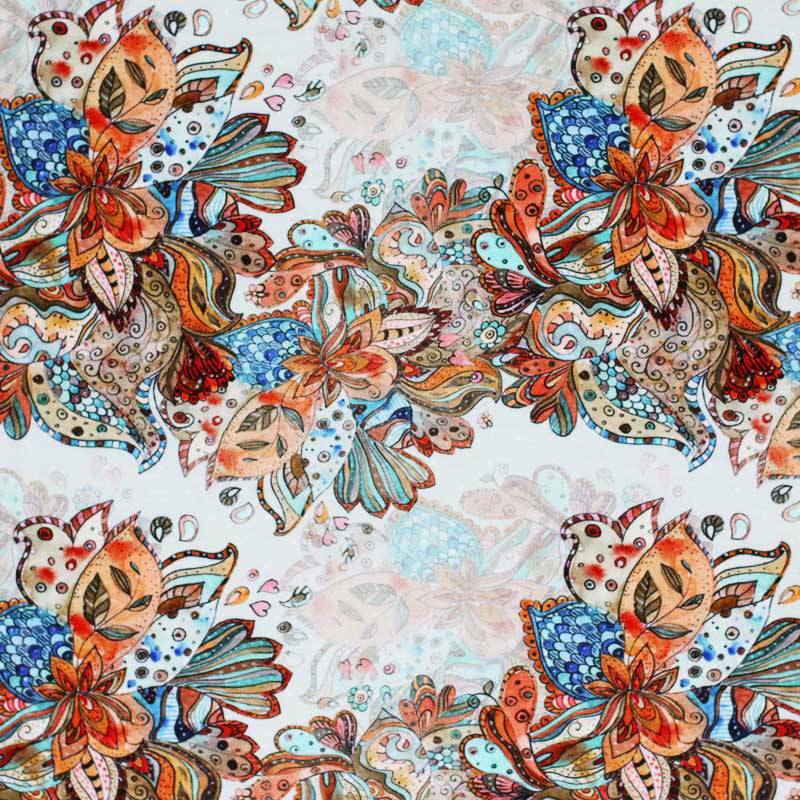 Information: A beautiful digital printed viscose jersey with "Bohemian Garland" print per meter. Viscose jersey fabric is suitable for tops, shirts, skirts and dresses. This 240 gram/m2 heavy viscose jersey fabric feels nice and soft on the skin and is portable throughout the year.